DEAR JERRY: I am a picker who is drawn to unusual items, the weirder the better. 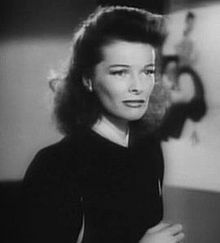 That's why, even with no way to play it, I couldn't resist picking up a 78 rpm when I noticed it was by Katherine Hepburn. I found it at a junk store across the river in Cincinnati, and it was only a buck. The number is X-103, the company name is Alcoa, and the label gives a Los Angeles address. Affixed under her name is a piece of paper with “NON-COMMERCIAL USE ONLY - NOT TO BE RESOLD” typewritten with an ancient black and red ribbon. I suspect the song title is underneath, but the warning notice is secured with cellophane tape and any attempt to remove it would tear the label right off. I never heard Hepburn sang, so there must be a story behind this record. Who better than you to fill in the blanks? DEAR JODY: Before we get to the blanks, proofreaders out there should know you spelled Katharine's name exactly as it is shown on the label. The mistake is the manufacturer's, not yours. Your one flub, however, is confusing the aluminum products outfit (Alcoa) with Alco Recording Co.
Hepburn did sing occasionally, mostly in brief film scenes, yet she does not sing on the Alco recording. Rather, it is a speech she delivered in 1947. The disc you found in Cincy is only half of the original set, in which the spoken words are divided into four parts, using two 78s. The Progressive Citizens of America backed the Progressive Party, whose 1948 presidential nominee was Henry A. Wallace, formerly the 33rd vice-president (1941-1945), under Franklin D. Roosevelt. Wallace was the intended keynote speaker, but Kate stole the show and therefore attracted nearly all of the media attention. Newspapers and magazines showed no interest in printing Wallace's message. The Progressive Party, as well as the Gilmore event, was openly supported by the American Communist Party, a fact successfully used against them in the campaigns of both Republicans and Democrats. Pulling off history's greatest presidential election upset, incumbent Harry S. Truman (D) defeated heavily favored N.Y. Governor Thomas E. Dewey (R). Progressive's Henry Wallace received only 2.4 percent of the popular vote and failed to carry even one state. One dollar for the one record is picker pleaser, though the complete Alco package can sell for about $100. The Kingston Trio changed the candidate's first name to suggest a “Vote for George O'Brien” will get poor Charlie off the M.T.A. .
16 Days Till Record Store Day! One of the oldest festivals in the U.S., the Newport Folk Festival, has announced their lineup for the 52nd edition, to be held on July 30 and 31 at Fort Adams State Park in Newport, RI. The festival, started in 1959, has long been a gathering of great folk, blues, bluegrass and country performers. In the last few years, the format has expanded to include such modern genres as Americana and folk punk. this must be a juicy, dirt filled writing, otherwise, who'd be interested in an old rocker's life? Former Van Halen and current Chickenfoot singer Sammy Hagar's new autobiography, 'Red: My Uncensored Life in Rock,' landed the number one spot on the New York Times Hardcover Non-Fiction Best Seller list this week. The Red Rocker made quite a bit of noise and generated a boatload of publicity when he talked about being abducted by aliens on The Howard Stern Show and during interviews with MTV. 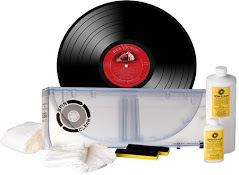 talking about listening to records, it is an experience, not just filler background music! Nathanson is not alone. 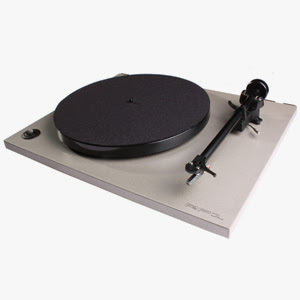 More and more Boston audiophiles are buying vinyl records in the age of digital music. British rock band Radiohead are now offering an exclusive better-than-CD-quality version of their new album The King of Limbs via 7digital. The online music retailer has confirmed that it is now selling a 24-bit FLAC version of the album, a world first for a major artist. It is now available to customers in 32 territories, including the US, and is also being offered in 16-bit FLAC and 320kbps MP3 formats. 7digital chief executive Ben Drury said that the company is pioneering 24-bit releases and will continue to support them. "The Radiohead album was recorded in 24-bit digital audio and it's great listeners will now be able to download and hear the album in the quality it was recorded at," Mr Drury noted. FLAC is an open source audio compression format that is lossless because, unlike with MP3, no audio elements are lost when creating a digital file from its source. DEEP PURPLE have announced their first tour in North America in four years, and the pioneering rock band--featuring classic members Ian Gillan (lead vocals), Roger Glover (bass) and Ian Paice (drums, percussion)--will perform for the first time in North America with a symphony orchestra in each city (except San Francisco). 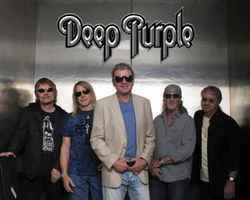 Launching June 3 and wrapping June 25, the tour is called “DEEP PURPLE: The Songs That Built Rock,” with stops in New York (two nights at the Beacon Theatre), Los Angeles (Greek Theater) and Montreal (Bell Centre). Fans can expect to hear the band’s trail-blazing iconic hits--including “Smoke On The Water,” “Highway Star,” “Hush” and “Space Truckin’”--plus other favorites achieve a new dimension of sound with the added heft of a symphony orchestra. Long-running emo unit the Appleseed Cast have continued their evolution as a forward-thinking rock band, most recently with their 2009 album Sagarmatha. Showing no signs of slowing down, they will return this June with a follow-up EP called Middle States via Graveface Records. According to a press release, the group set up a home recording studio for Middle States, finding a "relaxed pace and familial setting." Ultimately, the write-up explains that "Middle States gives insight into a band that is constantly reinventing itself and growing stronger with each passing year." 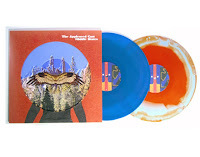 Members of the Graveface Record Club will get the vinyl on orange crush/baby blue A-side/B-side vinyl, while regular customers will receive it on milky clear/aqua blue A-side/B-side vinyl. 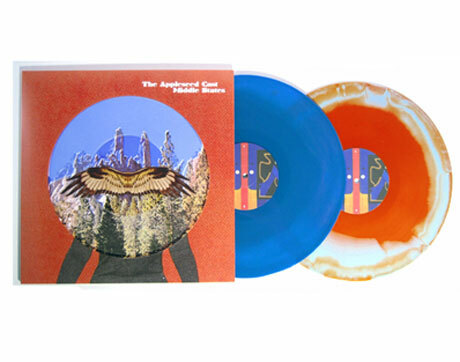 Either way, the record will be a different colour on each side, which is pretty awesome. Both the CD and LP version will come with a promotional poster featuring the album art, while the first 500 CD and LP orders will be hand-numbered and also include a non-album art poster. another charming story of how the 'younger' generation are turning on their turntables and playing records! In most ways, Sarah McCarthy is your average high schooler. She has a job, college plans, but also a peculiar passion for a 16-year-old: She's a vinyl junkie. To this senior from Centreville, Md., there's nothing like the raw crackle and the depth of sound she can spin from the dusty stash of records she found in the basement of her grandfather -- yes, grandfather. "He gave me his receiver and speaker system and told me to listen to it the way it was made to be listened to," McCarthy says. "I've turned a lot of my friends on to it." Sure, she has an iPod, but she also has a vinyl collection of 250 records and counting. Sure, there's a broader '70s renaissance in the air, but buying bellbottoms doesn't touch the commitment of teens unearthing old turntables and records. a new record store in kansas city! The rumors have been confirmed, with a few alterations. A record store will open in midtown, but not in the site of Streetside Records at 4128 Broadway in Westport, which closed in January. Dan Phillips will open his second Vinyl Renaissance & Audio at 1415 W. 39th St., in the old Boomerang building. The grand opening is scheduled for April 16, which is also National Record Store Day. Phillips also owns the Vinyl Renaissance at 10922 Shawnee Mission Parkway in Shawnee. Phillips said he chose the 39th Street spot over the old Streetside store for two reasons: location and size. In 1963, 16 year old Lesley Gore recorded her breakthrough hit, "It's My Party". Producer Quincy Jones hurried Gore into the studio when he found out that Phil Spector was going to cut the song with The Crystals. The single would reach #1 in the US and #9 in the UK. Also in 1963, The Chiffons enjoy the first of their five Billboard Top 40 hits when "He's So Fine" climbs to #1. 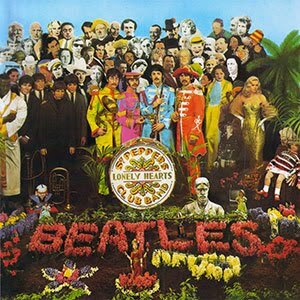 In 1967 - The cover of the Beatles' "Sgt Pepper's Lonely Hearts Club Band" was staged and photographed. The collage depicted more than 70 famous people, including writers, musicians, film stars and (at Harrison's request) a number of Indian gurus. The final grouping included Marlene Dietrich, Carl Gustav Jung, W.C. Fields, Diana Dors, Elvis Presley, James Dean, Bob Dylan, Issy Bonn, Marilyn Monroe, Aldous Huxley, Karlheinz Stockhausen, Sigmund Freud, Aleister Crowley, Edgar Allan Poe, Karl Marx, Oscar Wilde, William S. Burroughs, Marlon Brando, Stan Laurel and Oliver Hardy, and controversial comedian Lenny Bruce. Also included was the image of the original Beatles' bass player, the late Stuart Sutcliffe. Pete Best said in a later NPR interview that Lennon borrowed family medals from his mother Mona for the shoot, on condition that he did not lose them. Adolf Hitler, Mahatma Gandhi, and Jesus Christ were requested by Lennon, but ultimately they were left out, even though a cutout of Hitler was in fact made. In 1992, the soundtrack to Wayne's World was the number 1 album in the US. It featured the return to the charts of Queen's, "Bohemian Rhapsody", actually making the song a bigger hit the second time around. Tracks by Eric Clapton, Jimi Hendrix, Alice Cooper, as well as a new version of "Dream Weaver" from Gary Wright, were also included on the LP. Pink Floyd released the album "The Division Bell" in 1994.
birthday wishes to Norah Jones (1979), Tracy Chapman (1964), the immortal Eric Clapton (1945) and Jim Dandy Mangrum of Black Oak Arkansas (1948), among others. 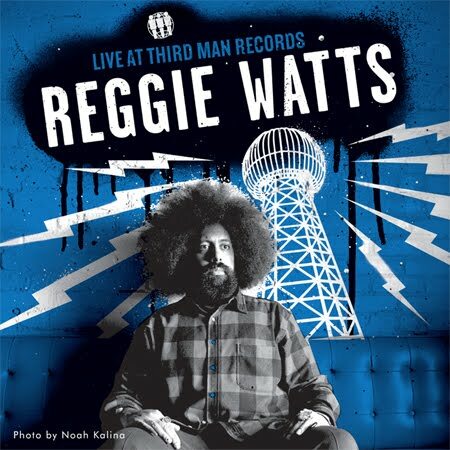 On Tuesday, March 29th Third Man Records will release the latest offering by comedian / vocalist / beatboxer / improviser / musician REGGIE WATTS on LP vinyl. Last summer, Watts met Jack White (Third Man’s owner) while on tour as the opening act on Conan O’Brien’s Legally Prohibited from Being Funny on Television tour. The two struck up a friendship and late last year Watts traveled to the Nashville-based label’s and recorded Live From Third Man Records in front of a live audience. 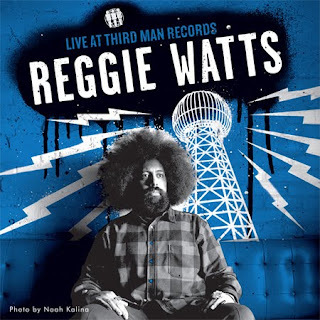 Reggie will celebrate the release of Live at Third Man Records with two performances at Brooklyn’s Music Hall of Williamsburg this week. The first show sold out so quickly that a second show later that night has been added! 3/30/11 - Music Hall of Williamsburg, Brooklyn, NY (early show 8:30) SOLD OUT! !